The possibility of a large-scale cyber-attack having serious repercussions in the physical world and crippling an entire sector or society, is no longer unthinkable. To prepare for major cross-border cyber-attacks, an EU Law Enforcement Emergency Response Protocol has been adopted by the Council of the European Union. 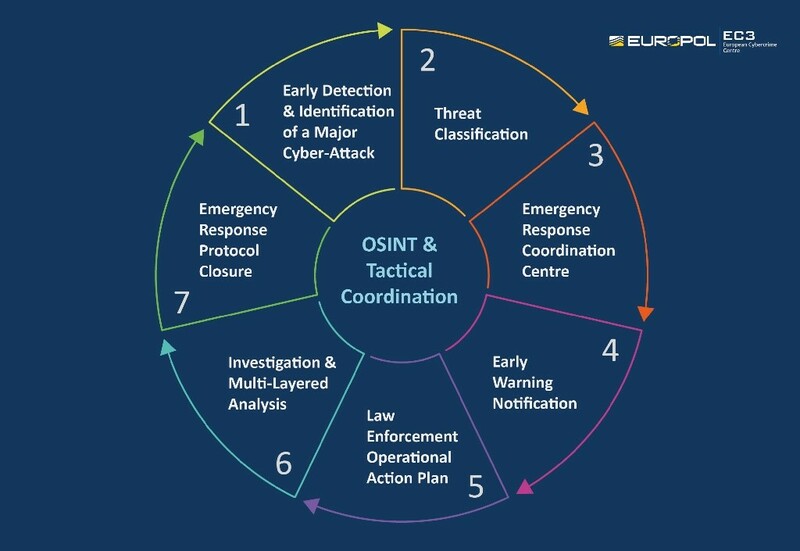 The Protocol gives a central role to Europol’s European Cybercrime Centre (EC3) and is part of the EU Blueprint for Coordinated Response to Large-Scale Cross-Border Cybersecurity Incidents and Crises1. It serves as a tool to support the EU law enforcement authorities in providing immediate response to major cross-border cyber-attacks through rapid assessment, the secure and timely sharing of critical information and effective coordination of the international aspects of their investigations.